The recently named disease can mimic the symptoms of polio. Editor's Note: This essay is a firsthand account written by Amber Allen, the mother of Cooper. It was Aug. 7, and we were about to leave for our last family trip of the summer. As my husband and I finished packing up the car for a family trip, our 13-year-old son Cooper complained of a headache and a sore, stiff neck. He was lethargic and had a fever. "He must be coming down with a something," I thought. Nothing that warranted canceling our plans, I reassured myself. After all, with 15 years of parenting under our belts and five kids, we’d experienced fevers and illnesses more times than we could count. (Amber Allen) Amber Allen's son, Cooper, was finally diagnosed with acute flaccid myelitis. Cooper slept for most of the drive to Utah, but his symptoms worsened the next day. The fever continued and he began vomiting — he was extremely pale and weak. I felt a distinct intuition that something wasn't right, so I searched the internet for "fever and stiff neck," and found that meningitis was a possible culprit. We took Cooper to the emergency room. Cooper received IV fluids and doctors conducted lab tests on him, including nasal and throat swabs, a chest X-ray and blood cultures. As a precaution, he was also given a round of antibiotics. Hours later, he was diagnosed with viral meningitis. Certainly that was alarming, but doctors know a lot about viral meningitis. Cooper would be fine. They said to keep him hydrated, encourage lots of rest and give him Zofran for nausea. They said the virus would run its course and he'd get better soon. The next day proved otherwise. Cooper woke up unable to move his left arm. We explained it away, thinking that maybe it was just numb because he slept on it wrong. Hours later, after a warm compress didn't work, we returned to the ER. This time, they ordered an MRI scan. Before we knew it, he was being transferred and admitted to the nearest children’s hospital. And for the first time during this ordeal, worry and fear crept into my heart. Later that day, we learned that Cooper's MRI revealed inflammation and trauma to the gray matter in his spinal cord. This news was particularly terrifying, as I am familiar with spinal cord injuries and paralysis. Still, I reassured myself, Cooper wasn't injured, he just got sick. Surely he'd recover. With each passing day in the hospital, that reassurance waned. Doctors conducted the same neurological tests over and over — raise your arm, lift this way, push that way. My heart broke as I realized that, even though my son's health was improving, he still could not lift his left arm. The explanations from the neurology team are now a blur, but some phrases stick out. Something about a virus attacking his spinal cord, and perhaps his body attempting to produce antibodies to fight the virus, but paradoxically adding to the inflammation and damage. I'm not even sure what our expectations were when they were giving us these explanations, and soon, there was nothing else that the hospital could do for Cooper, so we were released with instructions to follow up with our pediatrician. Relieved to check him out of the hospital, we drove back home to Colorado. 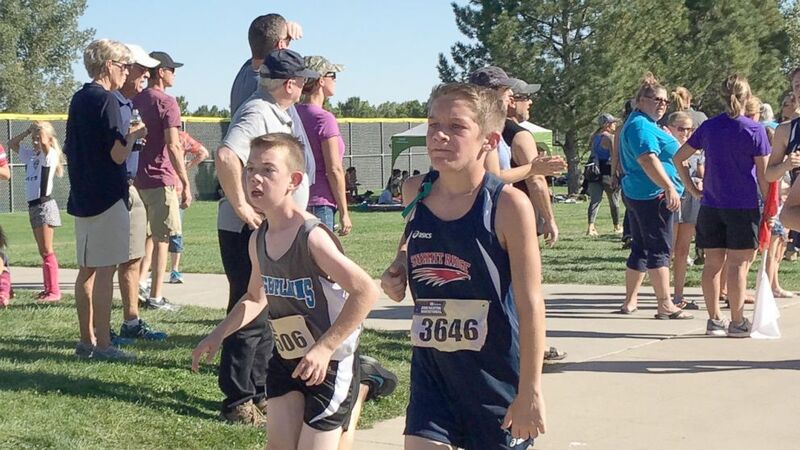 The next day, any thought of returning to "normal life" while Cooper recovered was shattered when our pediatrician advised us to go directly to the Children’s Hospital of Colorado, where infectious disease specialists might be able to diagnose Cooper and administer a treatment. I felt hopeful that we might get more information, or even a diagnosis, but something about our pediatrician's vague urgency and somber tone abated that hope. 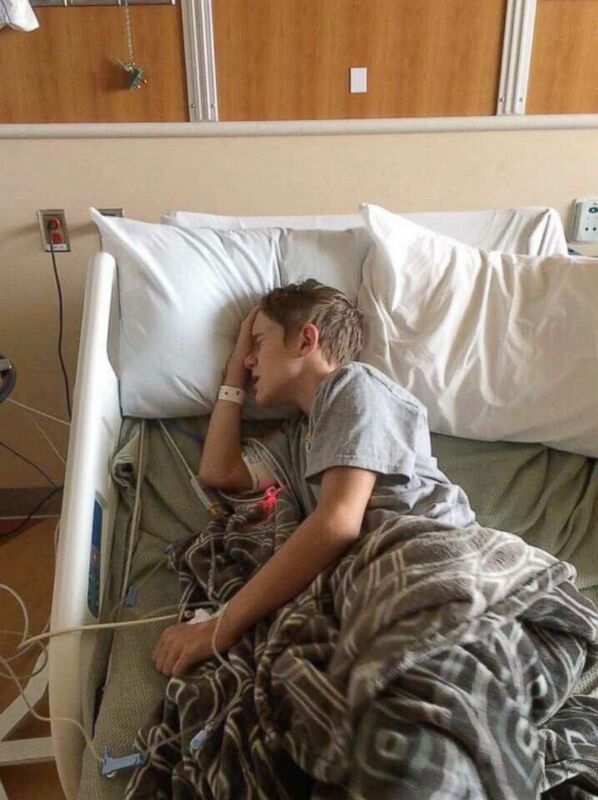 My fears and instincts were confirmed when, after four days at the hospital, where many doctors collaborated in an effort to help, Cooper was diagnosed with acute flaccid myelitis. This awful disease had a name. We learned that AFM is a newer disease with no cure and that its prognosis has many variables, making it unclear. The relief of having a diagnosis paled in comparison to the new, overwhelming questions that flooded my mind. Cooper received one of the only treatment options available at the time, and what doctors said was the best option for his case: IV infusions of immunoglobulin, or IVIG. We later asked about other options that we had heard about: Plasmapharesis and Prozac. Our neurologist openly shared that studies have shown inconclusive results and, with research ongoing, it is hard to say what definitely works for each case. IVIG appeared to be the best option for Cooper. His tired body was racked with torment during the hours-long infusions. I watched helplessly as he endured anguished sleep: Throwing his body around the bed, crying out indistinctly, clenching his teeth. He was utterly inconsolable. With our new membership in the rare-disease club, time feels like it stands still. The unknown can invoke hopelessness if you allow it. Waiting is simply agonizing. It feels like you're doing nothing. Waiting in the ER, waiting for medical records to be transferred, waiting on an IV, waiting for test results, waiting for a diagnosis, waiting for research, waiting for nerves to repair. Waiting for what's next. Today, Cooper is two months post-onset, with a long recovery ahead of him — a recovery where we're unsure what to expect. He initially participated in occupational therapy twice a week. 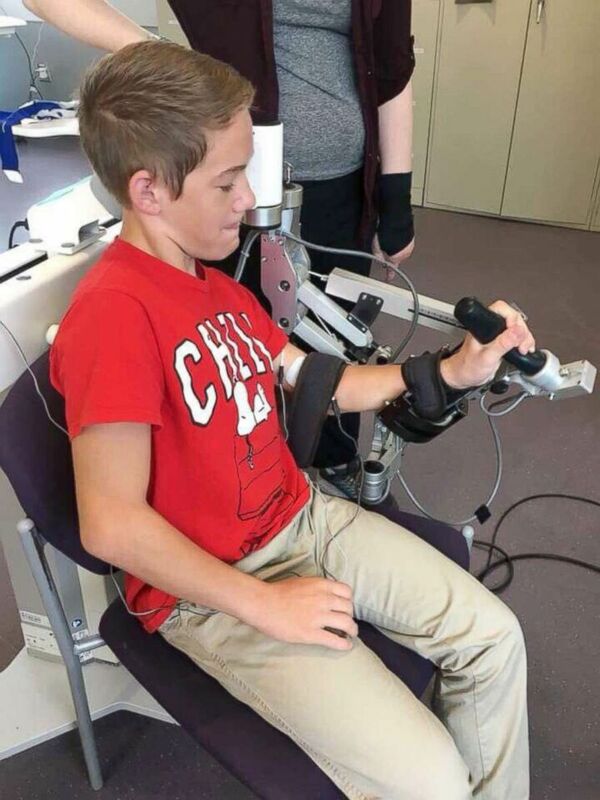 But after a follow-up with neurology, an appointment with his rehab doctor and, most helpful of all, guidance from other AFM families who we found on Facebook, he was sent to the Kennedy Krueger Institute in Baltimore, where he spent two weeks. Once there, his occupational therapist formulated a home program, which we now implement daily. Cooper will also continue formal occupational therapy. Some days, the time and effort he invests in stretching, strengthening and electronic stimulation, among other steps, is dreadful. It feels as if there's no guarantee that it will make a difference. But then, hope sets back in, and I dust myself off and continue to research options. Are there supplements that can help? Can I access specialized treatment? Are nerve transfers an option? Every day I thank God that Cooper is positive, undaunted and resilient. His amazing brain has learned to compensate for the muscles that are denervated or have profound deficits. A true warrior, he has given AFM very few of his tears and his positive attitude has been a source of strength to me. However, I want answers. I want a cure. I want this to never happen to another child. I count my blessings that Cooper is healthy and, in comparison to some other cases, mildly affected. But I want my confident, athletic boy to be able to wrestle again, to swim again. I want him to run proudly, both arms swinging. I want him to be free of physical limitations, free of insecurities about what he can and cannot do. AFM may not allow him to have these things back, but we will do everything in our power to shine through the darkness.